Dyan is a Wife, Mom of 8, and woodworker. 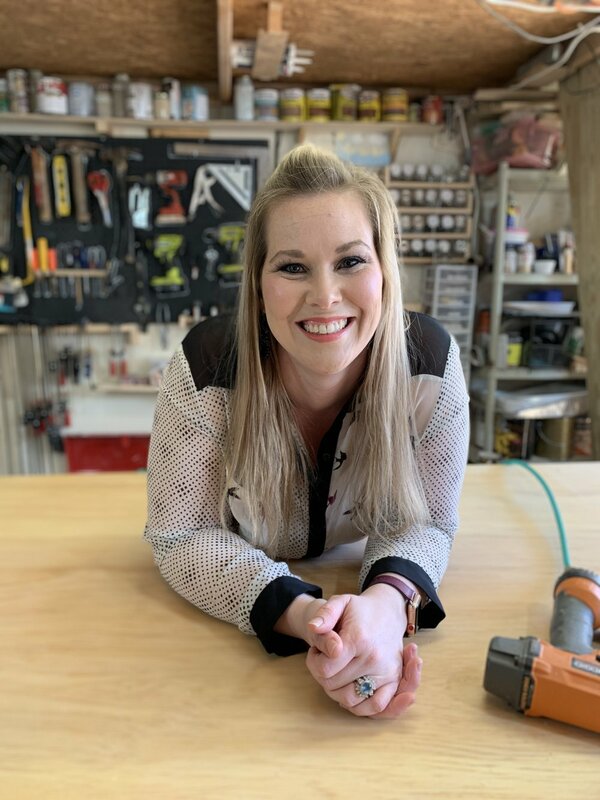 As if it isn't extraordinary enough that she is a Mom of 8 and how that came to be, she has also been woodworking since early childhood thanks to her Dad. Both of her parents are creative people and have shared their love for creativity along with their skills with Dyan and her 6 siblings. Now Dyan gets to share that creativity and passion with her children through making projects for their home. Dyan loves to build things that help solve problems in her home, like a more functional closet. She also enjoys making things for home décor around her home. Though she has and still does on occasion make things that are for sale, her focus is turning toward making things and creating content around it. You can follow Dyan on Instagram, Facebook, Pinterest, YouTube, and her Blog. Thank you to today’s podcast sponsor, HomeRight. If you would like to find out more about their spray shelters, click here. **Disclosure: Bear in mind that some of the links in this post are affiliate links and if you go through them to make a purchase I will earn a commission. Keep in mind that I link these companies and their products because of their quality and not because of the commission I receive from your purchases.